There were defeats for the top two in the BBL Championship on an eventful four-game night. London Lions were beaten 77-73 at rivals, London City Royals as Wes Washpun scored 23 points to lead the hosts to an inspired victory. Leicester Riders missed the chance to close the gap at the top as they fell to a 64-79 home loss to Cheshire Phoenix with CJ Gettys posting 19 points and 17 rebounds. 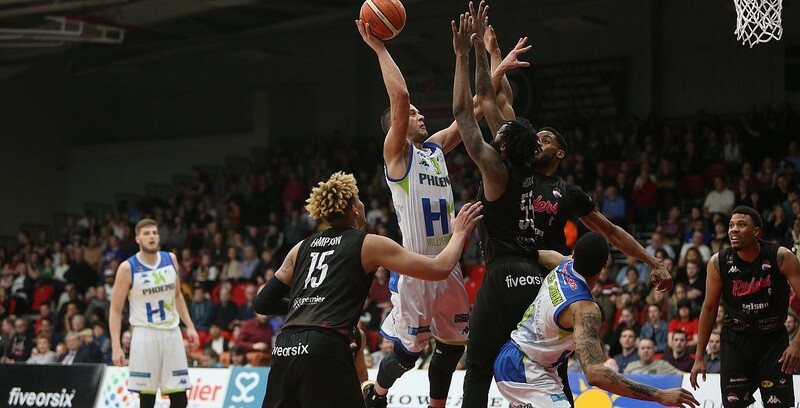 Meanwhile, Esh Group Eagles Newcastle edged out Worcester Wolves 93-96 behind 25 points from Victor Moses and DBL Sharks Sheffield eased past Bristol Flyers in an 86-66 victory.